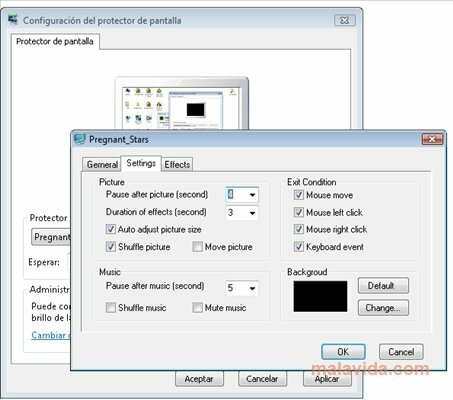 Pregnant Stars Screensaver is one of those programs that some people liked a lot and others that may find somewhat strange. It includes the photos of many famous women, like Britney Spears, while they were pregnant. There are many celebrities that have been pregnant during the most important part of their career. Some of them, like Claudia Shiffer and Britney Spears didn't think twice before posing for the front cover of a magazine showing their belly during their pregnancy. With Pregnant Stars Screensaver installed you will be able to configure how long the photos take to change, the animations that we want to use between one and another, or the background color. Thus, we will be able to better enjoy the photographs of these pregnant stars. 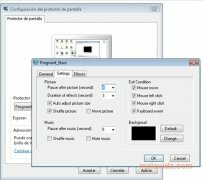 So if you want to enjoy the photos of some the most famous pregnant stars like Minnie Driver or Nicole Ritchie, just go ahead and download Pregnant Stars Screensaver to your computer and start enjoying it today.